Mobile phones could catch you unawares. It’s the beginning of December. The company’s Christmas party is fast-approaching. That means you’ll soon have time to get to know that new blonde colleague. However, you’ll need to be careful. It might be a good idea to provide clear written guidance to all members of staff about acceptable standards of behaviour. However, bear in mind that for some people this info will go down the drain along with their first drink. A social media policy might prevent embarrassing pictures from ending up on Facebook or Twitter. A totally free bar might lead to drink abuse while you don’t want to seem tight-fisted. Instead, consider the middle way. Offering a couple of drink vouchers might be a good solution. Because it is a work-related activity, you’re the one responsible in the end. Make sure drunk people get home safely. Take appropriate action when a drunk Santa accidentally sets the curtains on fire. Enjoy yourself, but don’t drink too much. Especially if you know that you’re ‘not able to hold your drink’, which might well be genetic. See this article from the Telegraph for more info. Don’t eat too much either! The consequences of overeating can be very, well, embarrassing. Flirting is not done. Also, bear in mind that alcohol influences your perception. He/she might not look quite as good in the cold light of day (with a hangover). Dress appropriately. You could view this both from a ‘decency’ point of view and from a ‘dress code’ point of view. In both cases, it isn’t fun to stand out. Finally, don’t talk about work all the time. However, don’t go too personal either. Dirty jokes are also out of the question. 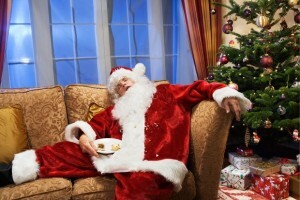 Avoid eating too much at Christmas Parties – the results can be embarrassing. It’s your moment of fame. Your favourite song is playing and you jump on the table, believing you’re Freddy Mercury. Your shirt is half unbuttoned and you’re wearing your Santa hat. Remember that a mobile phone could catch you unawares. It might end up on Facebook or Twitter. If there is a social media policy in the company and the picture is damaging your reputation, the person responsible could be disciplined. Even if the picture is removed, the damage might already have been done. This goes for both employers and staff. 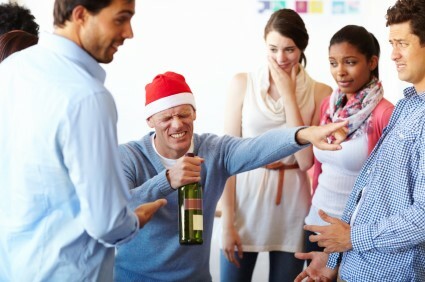 Instead try and bring out the best in your company’s Christmas party. Relax and enjoy. It can be a great opportunity to get to know new people, mingle, and network. 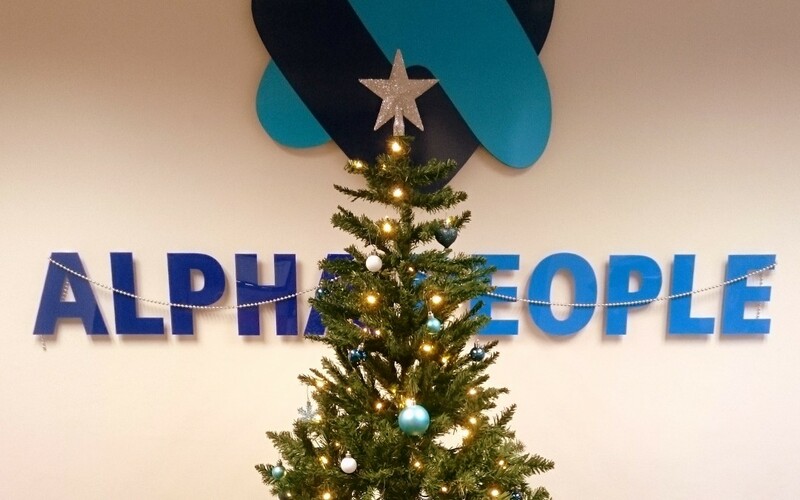 If you do find that your Christmas Party misbehaviour leads to a loss of dignity and a need to move on, then the first and most important New Year’s resolution is to get in touch with Alpha People to help you find a new role with a clean slate!